President Peter Mutharika has ordered civil servants to be wearing clothes made in Malawi on Fridays in order to promote the country’s products. 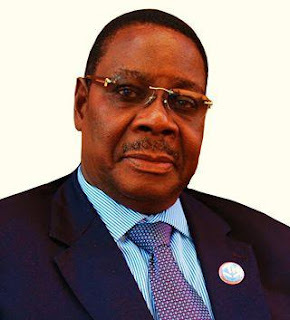 Mutharika made the directive on Thursday in Lilongwe during the launch of the Buy Malawi Strategy, an initiative which encourages Malawian citizens to support local industries by buying locally produced goods and services. should show their pride by celebrating all things Malawian. The Malawi leader said for a long time Malawians have not believed in local products and services. He said this has undermined national confidence and broken national pride and dignity. “Who will believe in our products if we the owners cannot believe in them and how can we become an exporting nation if we don’t believe in our products. This is time for us to embrace our locally made goods and services,” he said. Mutharika then described the Buy Malawi Strategy as a platform through which the country would improve its investment opportunities, change business strategies, create jobs and facilitate increase exportation of goods. Mutharika said: “Through this strategy, we want to stimulate local production, promote the spirit of industrialization, create competitiveness and create more jobs that will in-return create wealth for the country. “We expect to improve our foreign exchange base as importation of goods is expected to drop down.